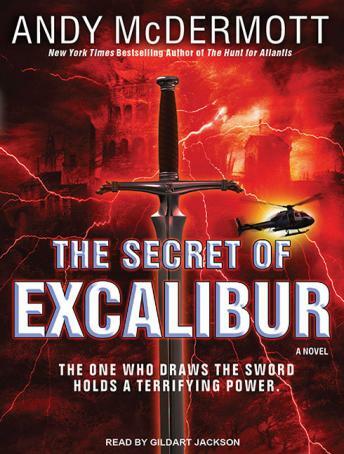 Excalibur. Legend has it that he who carries King Arthur's mighty sword into battle will be invincible. But for more than a thousand years, the secret to the whereabouts of this powerful weapon has been lost...until now. Archaeologist Nina Wilde is hoping for a little R&R with her fiance, former SAS bodyguard Eddie Chase. But the couple's plans are dashed when a meeting with an old acquaintance propels Nina and Eddie into a razor's-edge hunt across the globe-battling a team of elite mercenaries who will stop at nothing in order to claim a prize every treasure hunter has coveted since the final days of Camelot. Nina and Eddie must do everything they can to keep the legendary blade from falling into the wrong hands. Because the truth behind the sword's power-and those who seek it-will not only shock the world but plunge it into a new and more devastating era of war. This adventure series of books is a great reaf/set of audio books. If you like Clive Cussler or Lee Child these books take you on a real journey just like the best action and adventure authors. The narrator is superb and brings a real sense of humour to the Yorkshire main character. These books have action and suspense but are not overly dark. I am looking forward to working through the remaining books.